PCS services are designed to assist recipients or their caregivers with meal preparation, bathing, dressing, personal hygiene, and activities of daily living skills. This service also includes assisting recipients with other activities such as bed making and vacuuming when these activities are essential to the health and welfare of the recipient, and when no one else is available to perform them. PCS services primarily consist of non-medical assistance. 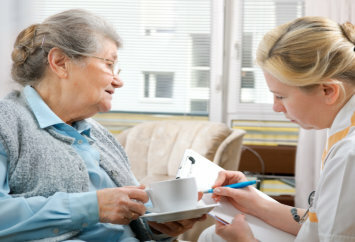 Recipients who live in their own home or in a family home may require personal care services to assist them with meeting their own personal care needs. You can find out if PCS is ideal for your family’s situation. We are here to listen and to give you sound advice. Please call us at 954-457-3683.